House of Cards is one of the most acclaimed shows of this decade. Not only is it one of the most acclaimed shows of this decade, it may go down in television history as a game-changer in film/television history, since it was the first show produced by a streaming service (Netflix, obviously). Despite waning fandom as the series progressed–hardly uncommon–”Cards” seemed to have cemented its legacy in television history. And then the now infamous BuzzFeed story about Kevin Spacey got published. In the wake of his outing as a serial sexual predator in the midst of the #MeToo movement, Spacey gave The Usual Suspects a *much* different meaning. And good luck with watching American Beauty ever again without feeling nauseous. Since that BuzzFeed article, Spacey was fired by Netflix, as both an actor and an executive producer on “Cards.” Of course, there was one major problem for Netflix to resolve: the fact that Spacey was the lead actor. Thankfully for Netflix, Spacey has been a co-lead on the show from the beginning. Netflix recently decided to pursue one last final season, but with Robin Wright as the sole lead. Many fans are overjoyed that the show will get a proper ending, especially now that Wright’s character will be the sole focus. Indeed, there are more than just a few fans who would tell you that Wright was always a more interesting part of the show than Spacey. That said, the transition could be complicated. It’s pretty rare for a show to continue once a major star has been lost (for obvious reasons). It’s pretty rare… but it’s not unheard of. Here are a few examples of shows that carried on despite losing its leading actor. Like “House of Cards,” Nashville had two leading characters, played by Connie Britton and Hayden Panettiere. Both actors earned significant praise and awards attention for their respective performances. 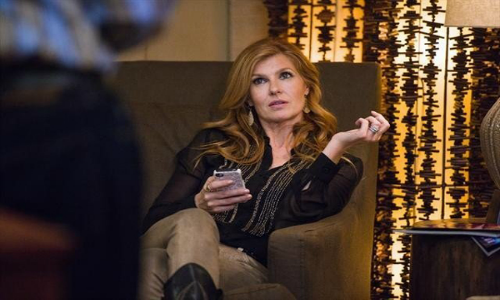 “Nashville” indeed is a rare example of a show with two stars on roughly equal footing. That is until earlier this year, when Britton’s character was killed off. Britton reportedly wanted to leave the show in order to seek other opportunities (of which someone of Britton’s talent deserves many). The news was unknown to fans prior to her character’s fatal car accident, midway through the season. As you might expect, the rest of the season focused on the emotional aftermath of her death. Fans were initially worried that this meant death for the series as well. CMT, however, renewed “Nashville” for a sixth season. For a years, Charlie Sheen was the highest paid actor on television. The actor earned an astonishing $1.8 million per episode for his turn as a washed-up lothario on Two and a Half Men. And because it was a network show, Sheen was doing more than twenty episodes per season. Sheen was sitting pretty… and then flamed out in spectacular fashion. In a series of bizarre interviews, Sheen appeared completely unhinged, as he bragged about his Hollywood lifestyle, while simultaneously referencing “tiger blood.” Years later, it doesn’t make any more sense than it did back then. CBS terminated his contract, when they discovered the actor was heavily abusing alcohol and additional substances. The show, however, went on without him. Sheen’s character was killed off, and replaced by a similar character played by Ashton Kutcher. The show continued to a be a hit until its final episode in 2015. Ron Howard is an Academy Award winning director. He has directed such classics as Apollo 13, A Beautiful Mind, and Cocoon. Currently, he is in the process of directing one of the upcoming Star Wars movies. Overall, he’s had an enviable career as a filmmaker, one that may not have come to be had he not made the decision to depart as the star of the hit show Happy Days. 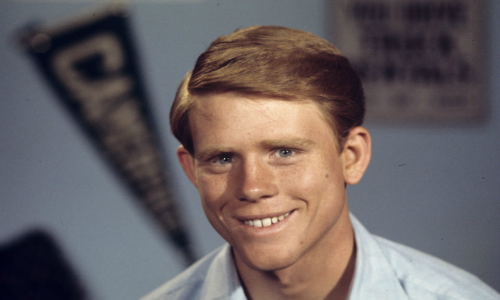 Before becoming a director, Howard was the lovable Richie Cunningham on “Happy Days,” one of the biggest hit shows in television history. Most people would have felt secure as the leading man on such a hit, but Howard expressed further ambitions. As such, he departed in season seven. Despite the departure of its star, “Happy Days” continued to a be a hit. There were several other popular character to help fill the void, most notably Henry Winkler’s Fonzie. “Happy Days” ended after 11 seasons, four seasons after Howard left the show. Unfortunately, sometimes decisions are made for you. Such was the case for Michael J. Fox when he left his hit show Spin City after four seasons. The show was enormously popular, thanks in no small part to Fox’s immense charm in the lead role as New York City Deputy Mayor Mike Flaherty. Charm, however, cannot fend off a diagnosis of Parkinson’s Disease. Fox was diagnosed with the degenerative disorder as the show was wrapping up its fourth season. As such, he found it impossible to keep up with the work schedule. He was written out of the show, in a particularly heartrending episode. 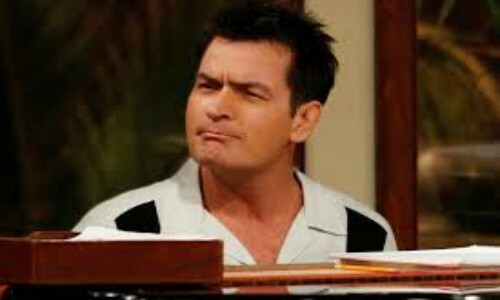 Sheen’s character was replaced by… wait for it… the aforementioned Charlie Sheen. Sheen did a good job, but could never match Fox’s effervescence. 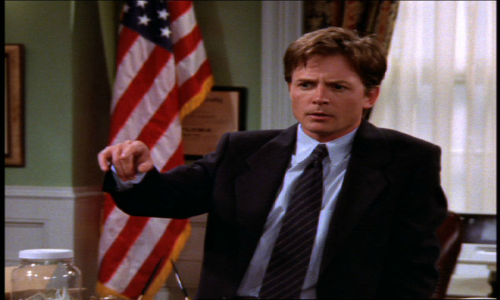 “Spin City” was canceled two seasons later. Fox, fortunately, has returned to acting since. 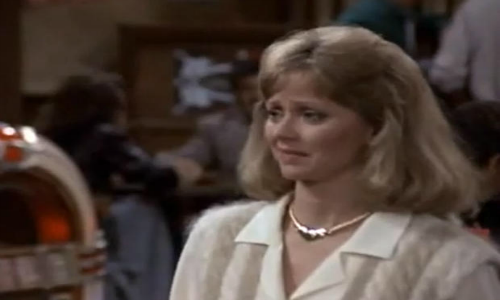 If you wrote the book on television romances, you would be hardpressed to ignore Sam and Diane on Cheers. What’s fascinating is that their romance wasn’t even part of half of the show’s entire run. “Cheers” lasted 11 seasons, but Diane was only part of the show for the first five of those seasons. That’s because actor Shelley Long decided to part from the show to focus on her movie career. Long was replaced by Kirstie Alley, and her character Rebecca became bartender Sam’s new love interest for the remained of the series. “Cheers” managed the transition pretty well. While most fans would probably tell you they preferred the Diane years, there is a significant enough of a percentage who would stand by the Rebecca years. Either way, “Cheers” is to this day considered one of the best sitcoms in television history.